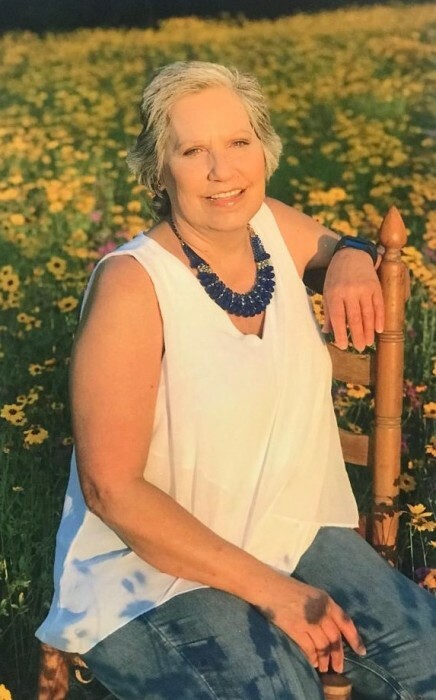 Patricia S. Lawson, age 56, of Sante Fe passed away peacefully on January 15, 2019 after her battle with breast cancer. She was born in Gainesville, GFL on June 6, 1962. She dedicated her life to serving her community in a variety of ways; working with the High Springs Police Department and Alachua County Post Office., also volunteering to help with youth sports leagues. She lived her whole life on the family farm where she loved working and riding horses. She was a member of Sardis Baptist Church and loved to sing in the church choir as well as with her sister. Patricia is preceded in death by her parents Hugh Bert and Etoile Davis Stidham and her granddaughter, Leia Lucille Frye. She is survived by her two daughters, Whitney (Shon) Frye and Christina Lawson (Michael); her three grandchildren, Shon and Ella Frye and Arabella Bickford; her siblings, Sharon (Butch) Mullins, Carl (Kim) Stidham and Sidney (Traci) Stidham, all of Alachua, FL. Funeral services will be held at Sardis Baptist Church on Sunday, January 27, 2019 at 3:00pm with Brother Paul O’Steen and Brother Tim Rose officiating. Family will receive friends for a visitation beginning at 2:00pm (1 hour prior).